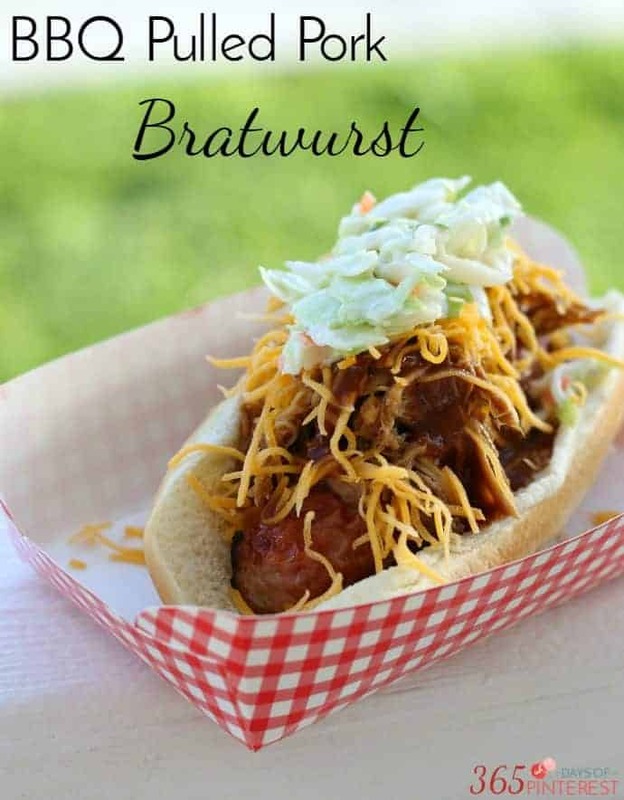 Try something different for your next BBQ and make BBQ pulled pork bratwurst instead of a boring hot dog! The crunchy slaw pulls it all together! This morning we woke up to snow. 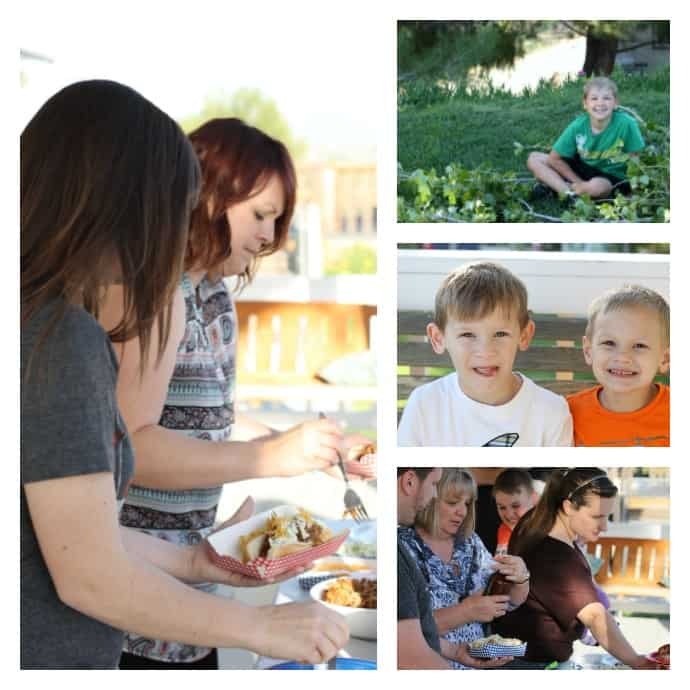 We invited some good friends over for a BBQ to thank them for always watching our kids when we need a free sitter. 🙂 Sadly, we got rained out. The whole weekend was stormy and icky. So we rescheduled and decided to combine our family birthday gathering for Herschel with our BBQ! The kids just had regular hot dogs, but for the adults I wanted to try something new. I picked up some Honeysuckle White turkey bratwurst (perfect for throwing on the grill) and started thinking about creative toppings. I had just made a huge pork roast in the slow cooker earlier in the week and had loads of leftover meat in my freezer. 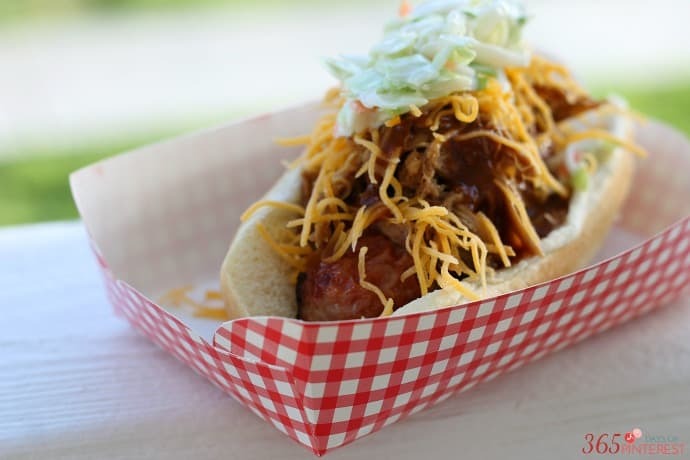 Why not try a pulled pork bratwurst? I set the table with the brats, buns and pulled pork and then added cheese, coleslaw and three different kinds of delicious BBQ sauce. You cannot skip the coleslaw when you’re doing something like this! It adds such a nice crunch and a little bit of acidity to every bite. 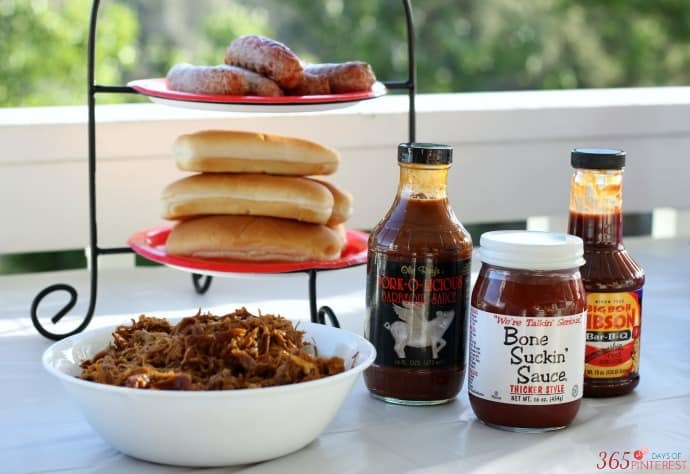 It’s the perfect combination to all that sweet and spicy BBQ sauce! There’s nothing like a table full of yummy food to bring everyone together! Using turkey that’s been raised on family farms without using hormones or growth-promoting antibiotics is something to feel good about this grilling season. 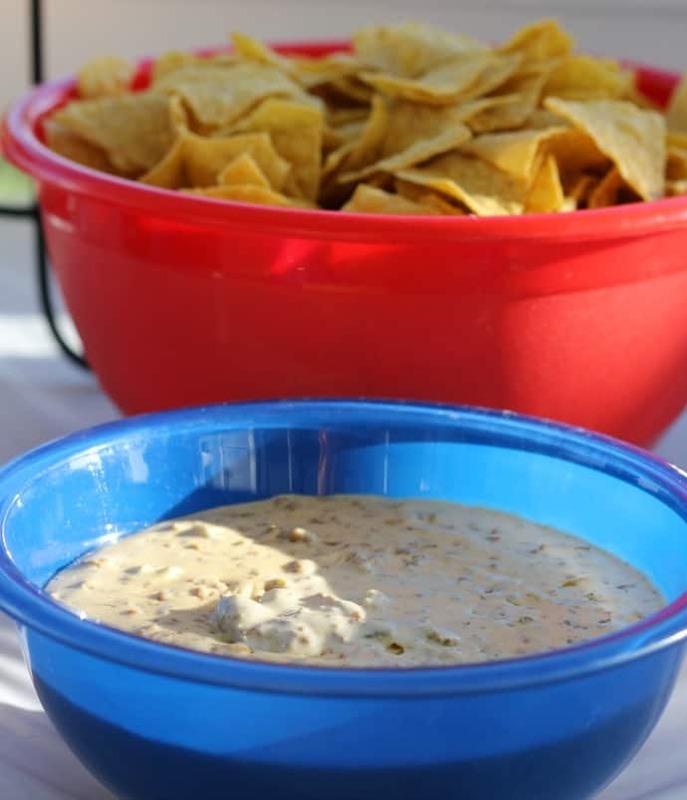 The other thing on the table was this creamy and hearty cheese dip I dubbed Taco Queso Blanco. It didn’t really go with the BBQ flavors, but chips and dip are certainly BBQ or party appropriate, right? 😉 Either way, you’re going to want to try this. In a skillet, brown the ground turkey and drain if necessary. Add the taco seasoning and mix well. Remove from heat. In a large sauce pan over low heat, add the cheese and heavy cream, stirring until melted and smooth. Remove from heat and mix in the diced chiles. Pour the cheese mixture over the ground turkey and mix well. Serve immediately or keep warm in a slow cooker. If you do not eat it right away, you may need to add milk to thin out the mixture a bit. 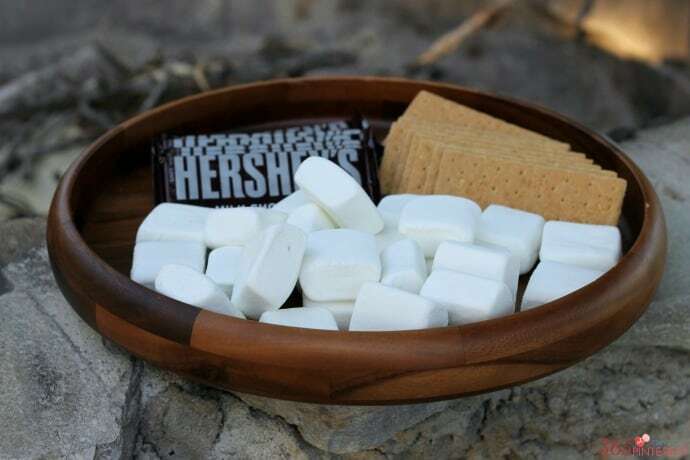 Honeysuckle White sent me this gorgeous engraved wooden tray so I used it to serve up my favorite: S’mores! And guess what? They are going to let me give one away to one of you! Just leave a comment below telling me what your favorite BBQ food is and a random winner will be chosen next week! 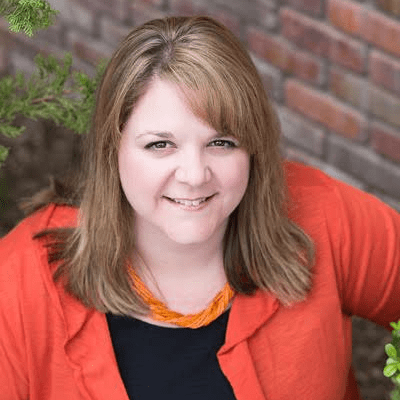 Contest entrants are only eligible to win once per sweepstake, per household as part of a campaign sponsored by Influence Central. I show off the wooden tray and also some of the favors I sent home with my guests in this live (well, it WAS live originally) video on my Facebook page. 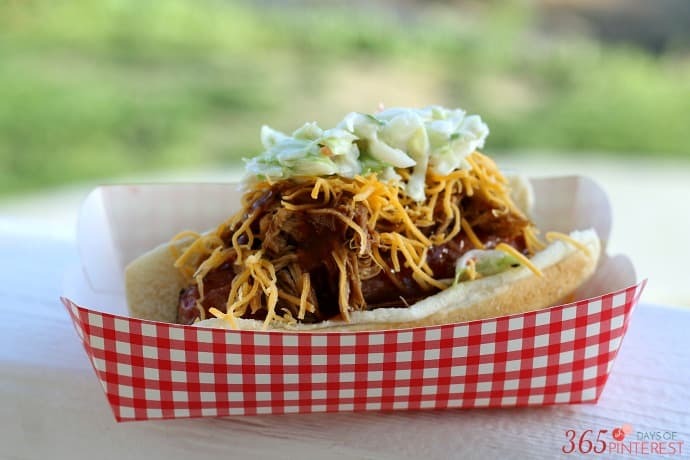 Absolute fav- BBQ Brisket with..baked beans and coleslaw! I do love brats, but I think my favorite BBQ food is baked beans. I use my grandma’s recipe. Yum! This looks like a delicious combination and a fun time! My favorite BBQ food is any meat and cornbread!! I love BBQ burgers and porkchops. 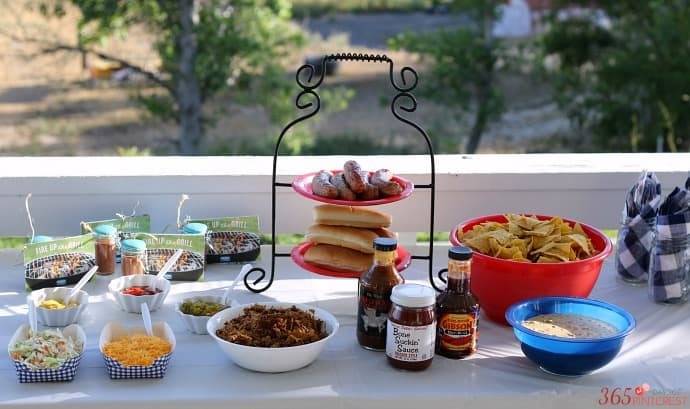 Looks like a great idea for a Summer BBQ!! Love seeing all these pictures. I love using the grill! 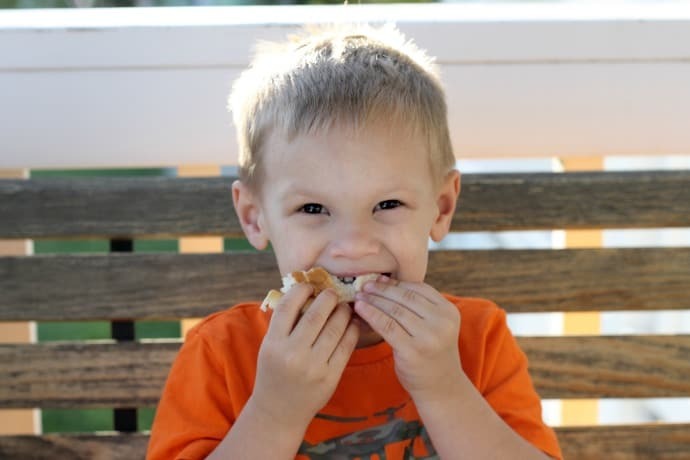 Our favorite to grill is hamburgers but we love trying new things! Our favorite is a big hamburger! Yum! That looks so amazingly delicious! 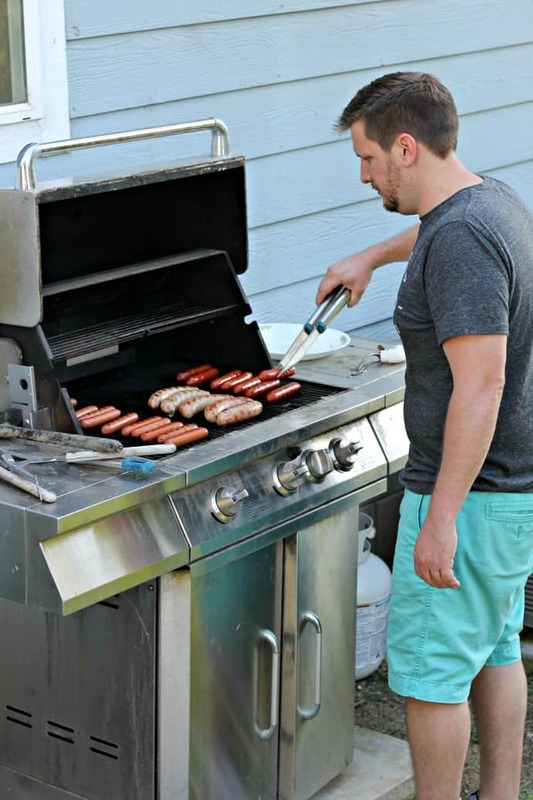 The weather is perfect for grilling, and this meal would be absolutely perfect!